Edit: Is the helmet really the same as the one from Vulture and Wasp and such? It looks like the cheeks on this one are dented, and the other (current) ones don't have that, do they? It is the same, that same vibe hits me when the Vulture fig leaked. It is the same with the ANAD helmet. I’m expecting the armor room set to be very similar to Avengers Tower. 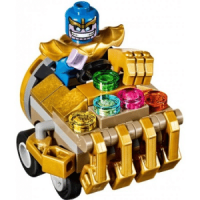 <600 pieces for $60 but a great build with amazing exclusive minifigures. I hope we get more stickers like the ones in the Malibu Mansion set and I really hope there’s slots for all the suits Lego’s made, although I doubt there will be. Not impossible but it will be a long shot, hmmmm Why not making it like a modular type that can be connected if you buy multilples? Same like the wall build in Thresher attack. It's definitely the same helmet, they do have that indent, but the angle and lighting here just makes it look more prominent. Alright, thanks guys! Yeah, I guess I just didn't look at the existing part properly. TLG wouldn't make another mold with minor adaptions. I've felt this before when the Hulkbuster 10th year anniversary leaked. We are looking for some kind of a special treatment that they could include armors from the past Ironman movies, and they didn't. But hey! Now here they are making it real. I don't know if it has something to do with the plot or just a fan service but I appreciate it. They listened to us before it's too late. This maybe the last Ironman MCU set that we will be seeing for awhile. Jesus I apparently wasn’t following the leaks. What an amazing set the hall is shaping up to be. Armors leaked looked awesome! I’m in love with the MK 1 minifigure. Even though Silver Centurion has more detail, this is my favorite Iron Man minifigure. I’ve been waiting for it, for so long and it’s an amazing looking figure. I love that the helmet isn’t gray like Super Adaptiod, but rather silver. Like the one in the trailer? That's a great idea. I hope Lego did it. I hope that they at least include enough stickers to cover every armor. I really love the way they did the hall in the Malibu Mansion and I’ve always wanted more of those suit stickers. But yeah, space for 15 suits, some of which have been retired for 5 years, is highly unlikely. I’ll probably buy multiples for a bigger hall. Having seen the Mark I . . . I want this set and I will have it. I will find an excuse to get it. It will be mine. Because that fig just looks so perfect. I think I'm in love. The printing is pitch-perfect, and I think they used the ANAD helmet well for this one. I sincerely hope the rest of the armour room impresses me. Hi folks, In about 30 minutes. Mark 5 will be posted. Wow, that's just so f..... up. If you still can cancel it! Or if you can just grab atleast Silver Centurion (if you have it) that's the most expensive and hard to get. Hadn't yet done any trades just got them all together and bagged. It was just a back and forth with myself on if I should or shouldn't. I posted the picture of Mark 41 (Bones) in my IG account. It's so detailed! Love that they went with Mark 41, it's so different in appearance than all the other suits they've adapted. First time we get a black helmet If I'm not mistaken! This set is superbbbbb. Hopefully this is not all the figs in that set. Wow that Mk 41 suit looks awesome. I'm a sucker for black and gold. Mark 5 looks good too, such a great set so far. I'm in love with these suits. MK1 is the best in my opinion. Finally a good use for the invincible iron man mask. MK5 looks alright, but really lags armprinting. MK41 looks so cool, a black suit really adds to the collection. Mark 5 and Mark 41 are awesome. They could’ve done with arm printing but I’m not too disappointed in the lack of it. I love the helmets and I’m just glad all the suits have great leg printing. Yeah! Not only leg but the foot printing also. Last time we got that is since Ironman 3 sets. And pay attention to the detail, unlike mark 17 and 42 it has different designs. Man, gotta love this set.